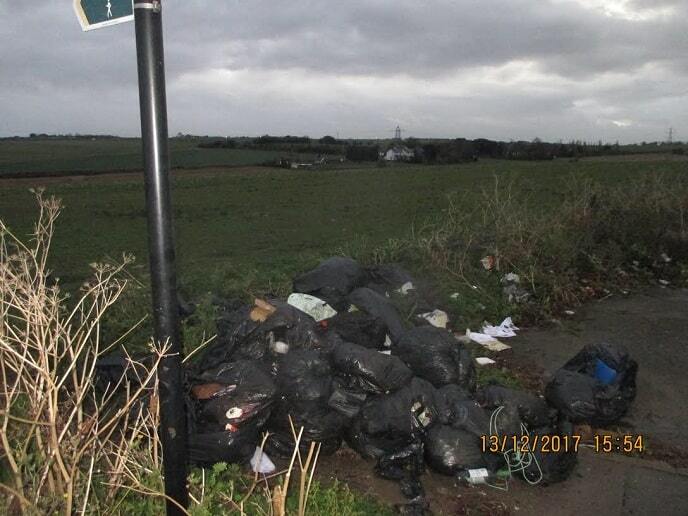 Two Thanet residents have been fined for fly-tipping after one dumped rubbish at the back of her Ramsgate home and another left 100 black sacks discarded in Margate. 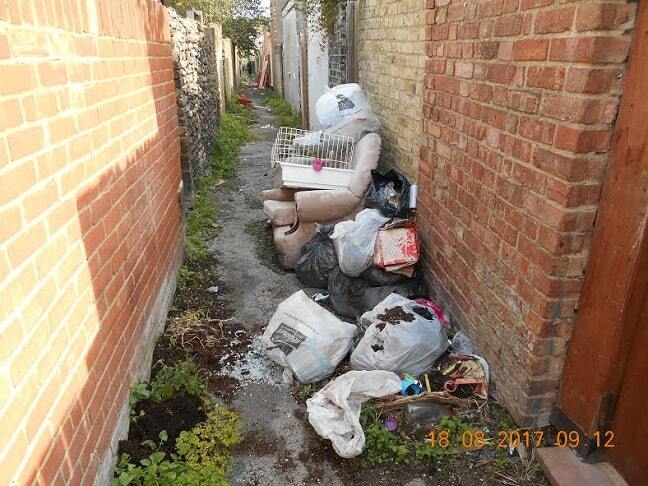 On Tuesday, July 10, a 33 year old woman from Alma Road, in Ramsgate, pleaded guilty at Canterbury Magistrates’ Court to fly-tipping and was ordered to pay £830.94. This includes a fine of £350, £445.94 in enforcement and clean-up costs, as well as £35 victim surcharge. The fly-tip, which was discovered last August, had been dumped in the alleyway at the rear of the resident’s home address. On the same day and in the same court, a 56 year old man living in Hawley Square, Margate, also pleaded guilty to fly-tipping. The waste, which he left by the footpath at Caxton Road, Margate, amounted to 100 black sacks. An early guilty plea resulted in a fine of £350 with costs of £120 plus £35 victim surcharge. In total, he was ordered to pay £505. TDC says fly-tipping reported in Thanet has generally been dumped by local people, sometimes right behind their own homes. Other prosecutions have occurred where someone being paid to take waste away, has then fly-tipped it rather than disposing of it properly. 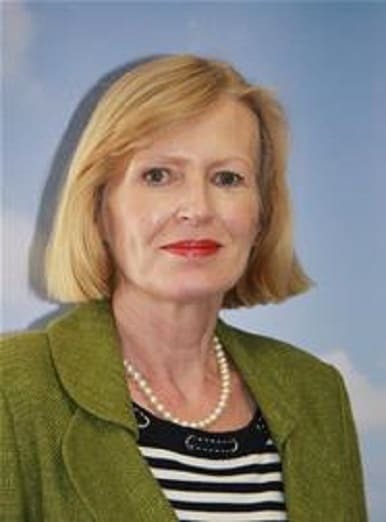 Cllr Rosanna Taylor-Smith, Cabinet Member for Operational Services, said:“Fly-tipping continues to be an issue for Thanet. It’s not just large scale dumping but also people leaving unwanted furniture or broken electronics on the street or other land. It’s still illegal. “People also need to be cautious when someone offers to take their waste away – check they are licensed to do so. The council offers a bulky waste collection service, charged at a nominal rate, for people who have larger items they wish to dispose of. There is also a recycling centre run by KCC at Manston Road which is open daily. 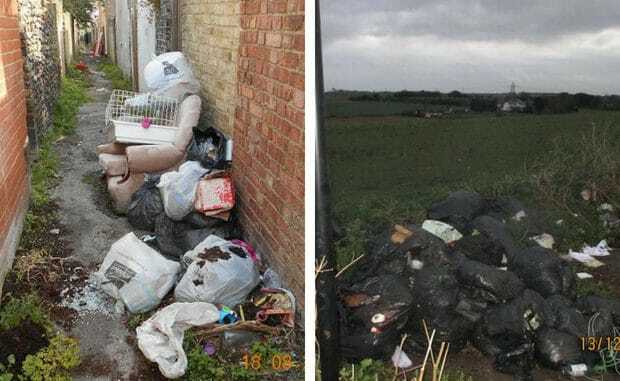 In the past year, Thanet District Council has issued more than 50 fixed penalty notices of £400 for fly-tipping and successfully prosecuted some 25 people. Find information to ensure items are disposed of by registered waste carriers. Anyone who witnesses fly-tipping is encouraged to report it online or via the My Thanet App. They named the woman, why not the man? ooops, you didn’t name the woman either!